We are located near Berri in South Australia's Riverland near the mighty Murray River. 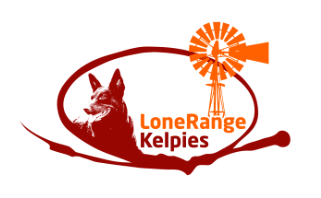 Our property is divided into sections so we can separate our Kelpies when needed but we do like to run our dogs together as we believe all our dogs should be able to adapt to being alone as well as together. On site we have a professional hydro bath set up where the dogs are pampered and groomed before their shows and a 6 berth show trailer to transport the dogs in to ensure their ride is safe and comfortable. We follow a raw diet plan with all our dogs and prefer to give them all their nutrients by food source rather than adding supplements to their feeds. A typical diet here consists of bones, meat, green leafy vegetables, fruit, dairy and added egg /oils for their coats. When purchasing a puppy from us we aim to pair up the best suitable puppy with the best buyer making a perfect match, we are with you for the puppies lifetime and for what ever reasons the puppy does not working out we are more than happy to take him/her back, thats our guarantee.